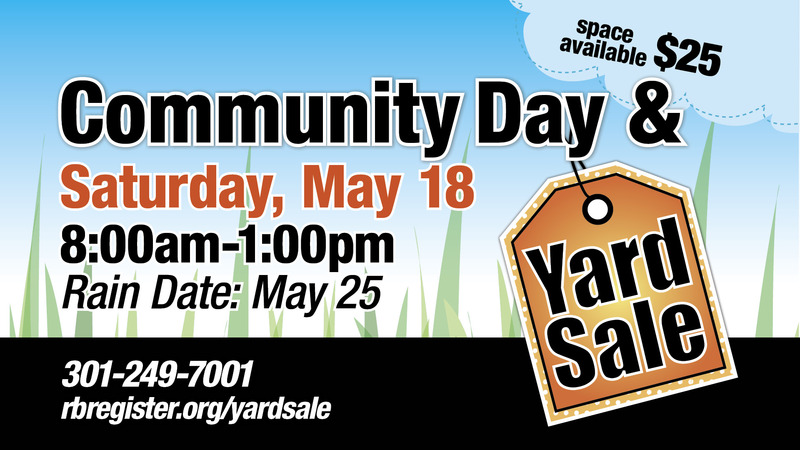 Join us for this exciting time of yard sale and community involvement (fire department, police department). It all begins at 8:00 am with the yard sale. At 10:00 am the fire department and police department will have hands on equipment for the community to interact with them. Other fun activities are planned as well. Support our youth and community for this special day. All funds from the yard sale will help our youth for camp and the Guatemala mission trip. Rent a space for $25 or donate items for the sale. Click here to reserve a space or call 301-249-7001. Rain Date: Saturday, May 25.